Are bantam chickens’ quieter than large chickens? Because of their smaller size bantam chickens are much quieter than their large fowl cousins. The hens still cluck and the rooster still crow and a bantam rooster might make more noise than a quiet breed of large fowl like an Orpington. Free range, happy, well fed and amused chickens will be quieter than stressed birds. Now, if you are after the answer to the question - Are bantam chicken quietest breed of chicken - the answer is a yes or no. Bantams are generally not the quietest in the barnyard but quieter than the large-sized breeds or noisier than the others. There are factors that would support this conclusion. The environment the chickens live in can play a substantial role in how quiet, or noisy bantam chicken can be. 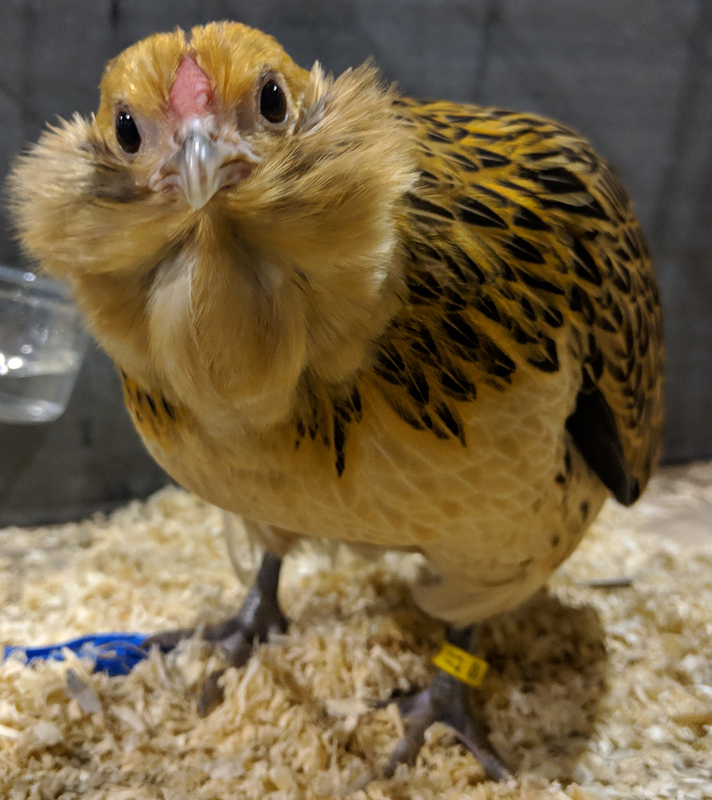 If chicken breeds not only bantam will be housed in a wrong sized- coop and the environment is not conducive for them, they will get very vocal about their displeasure, and they may appear to become more destructive. A bantam flock can be a perfect choice. 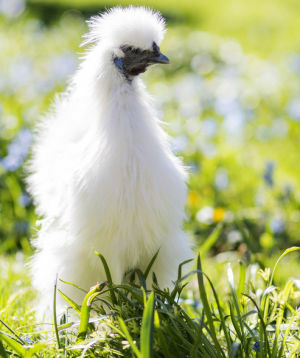 Yes, Silkie chickens are very quiet, I kept 5 in my front garden and it was 11 months before the neighbours even noticed. These breeds can be delightful to watch and can give you fresh farm eggs. 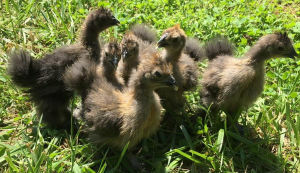 These charming pets are miniature versions of usual large chicken breeds - which is what makes them the best breed to raise when you only have a smaller place. You can have 2 bantam chickens in the space for one standard sized chicken zone. Bantam chickens can lay lots of lovely eggs, that are equally as nutritious and delicious as eggs from a regular sized chicken. Eggs appear a little fun in size. If you are after eggs, maybe you should consider keeping bantam chickens instead. Are chickens noisy in general? Not really, mine make less noise than my dog. Most backyard flocks of chickens go virtually unoticed, only making a noise when they have just laid an egg, commonly known as the egg song, or there is danger about. It is normally over quickly and isn’t loud in the first place. It is true that some breeds are more chatty than others, but at their loudest chickens make the same level of noise as a human conversation, about 60-70 decibels. If you do not want neighbours to be constant chattering because of the noise, invest in a breed known for its quiet nature like a bantam or Orpingtons. Research shows that bantam chickens are one among the quietest chicken breeds along with Buff Orpington, Wyandottes, Brahma, Cochin, Australorp, Java and Ameraucana breeds. 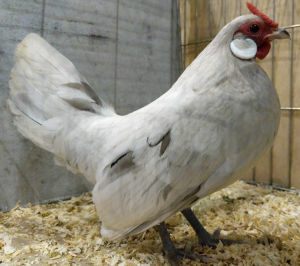 These breeds are larger than the bantam but appear to be less or quieter depending on the way they are accommodated in the barn. What are the quietest breeds of chicken? Wyandottes. 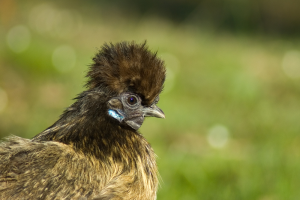 This chicken breed is among the most common for suburban backyard homesteaders. Mine are one of the quieter breeds in my flock. Australorp. Reknowned for being one of the quietest breeds of chickens. Brahma and Cochin. Large chickens seem to make less noise but when they do it is louder than bantams. There is likely to be quite a lot of difference between individuals of the same breed so it is very difficult to give advice on which type of chickens are the quietest. Can you keep chickens quiet? Just a little advice when keeping bantams and other chickens quiet. They need a safe and sturdy coop, that can provide for all their living needs. Ideal coops for bantam chickens should provide them space to roost, nest, lay eggs, and dust bathe. They have the same needs as of the large chickens, so it is important that their coop is well ventilated. It is important that they have access to clean water and poultry pellets - both in and out of their coop. They will only eat if they are hungry. They may lack in size; they sure do make up for in personality. 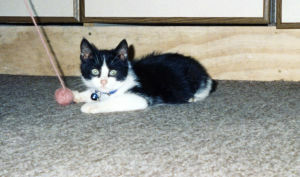 Each will have their own sweet and peculiar disposition, that makes them a delightful option to have around. To keep bantam and other chicken breeds quieter every single day, makeshift some fun area inside the backyard, put a dust bath and hang a couple of swings. When you're doing backyard homesteading, there is one more important thing to consider aside from egg quality - deciding what breed of chickens to raise and knowing how much noise they make. Quiet chickens do exist, and they can produce quality eggs. The only difficult thing is to know which one.